The inductive couplers transfer data and power also with angle and parallel offsets. The BL20 and BL67 modular I/O systems become IO-Link-capable with the new master modules. At the Hannover Messe Turck is presenting for the first time its contactless inductive couplers for signal and power transmission. The inductive couplers of the NIC series consist of a primary and a secondary unit and can be connected as simply as a plug connection. They transmit 12 Watts of power across a 7 millimeter air interface. The diagnostic function detects the presence of the secondary unit as well as any metal objects in the air gap. With a tolerated angle offset up to 20 degrees and a parallel offset up to 5 millimeters, the couplers can also be fitted in restricted and non-standard mounting locations. The standard version of the NIC series transfers two PNP switch signals. 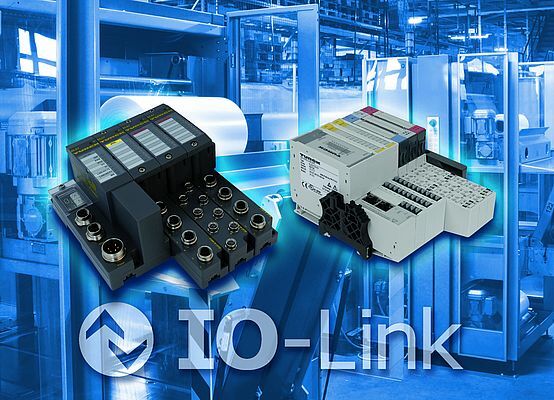 If the primary unit is connected to an IO-Link master, data can also be transferred bidirectionally from measuring IO-Link sensors. In combination with Turck's TBIL I/O-Hub it is even possible to identify tool changers, since the junction boxes can transfer their ID to the controller via IO-Link. The combination of Turck's second primary unit that even works as an IO-Link master and the TBIL junction enables the transfer of up to eight switch signals. As a "non-contact connector" the new product series is an ideal solution for the wear problems occurring with plug and wiper contacts subject to severe stress. Typical application areas are electric monorail systems, tool changers or rollers. As the secondary unit is operational within 10 milliseconds, and "dynamic pairing", i.e. 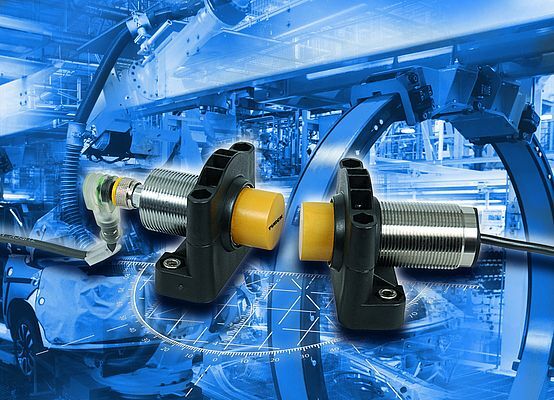 the coupling of any primary and secondary sections, is supported, it is perfectly suited for applications with a high cycle rate such as tool changer robots or rotary indexing tables. Furthermore, Turck is extending its portfolio of IO-Link solutions by adding new master modules for its BL20 and BL67 modular I/O systems. The new IO-Link master modules fully support specification 1.1 with the transmission rates 4.8, 38.4 and 230.4 kBaud (COM 1, COM 2 and COM 3). This provides the user with a wide range of possibilities for implementing IO-Link communication in a large number of fieldbus and Ethernet networks. The BL67 system now also provides a modular IO-Link master in IP67 with an operating temperature range of -40...+70 °C for harsh industrial environments. By the product launch in the summer it will be possible to use the 4-channel IO-Link master modules with the gateways for Profibus, CANopen as well as the Ethernet protocols Profinet, EtherNet/IP and Modbus TCP. The EtherCAT, DeviceNet and Modbus RTU protocols will then follow in the second step. All new modules support Turck's multiprotocol technology, which allows the use of the same device in Profinet, EtherNet/IP and Modbus-TCP networks. The multiprotocol devices can be operated automatically in each of the three Ethernet systems and thus reduce inventory and engineering requirements. The devices detect the protocol used by listening to the communication traffic during the startup phase.